Download Warcraft 1.25b Patch – Warcraft 3 TFT 1.25b Patch Download and Changelogs. Warcraft 1.25b Patch now is available! The patch contains some adjustment, fix share hack and much more changes. Here is the full Warcraft Patch 1.25b changelogs. - Fixed an issue where players were able to ally with opponents when alliances were locked (“share hack”). 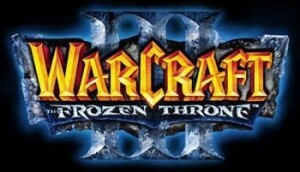 The new version number for Warcraft 3 The Frozen Throne 1.25b Patch is 1.25.1.6397. 1. Connect to the Battle.net and your patch will automatically upgraded. You must log off and login again to ensure the patch updated properly. 3. Use the Warcraft Version Switcher 1.25b. If you already have the Warcraft Version Switcher, you can download Warcraft 1.25b zip archive and place it in WVS folder. 1. Download the 1.25b patch switcher from the links above. 2. Extract the files to any folder using WinRAR. 3. After extracting run WVS.exe and set your Warcraft 3 path. 4. Click the first button switch version and double click your desired Warcraft 3 patch you wanna switch to and click yes. 5. Your War3 version will be switched. • This program will only work if you have 1.24e patch previously installed. • You must right click “Wvs.exe”and click “run it as administrator” in Windows 7 & Vista. • 1.25.1.6397 is for 1.25b patch.